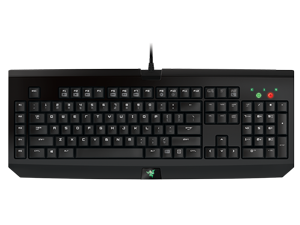 No matter how intense your gaming marathons get, each Razer Mechanical Switch is engineered to withstand up to 60 million keystrokes, so you'll enjoy the Razer advantage for longer. Pros: Keys are starting to miss. I am typing along and them I'm not. I have to move the mouse to get it started again. I did buy it after i did some research and i got what i was expecting! Cons: Nothing, im pretty sure i got a perfect product !!! Pleasant typing experience silent and high quality switches and key caps. Heavy and sturdy in a favorable way. Nice matt anti dirt finishing. Pros: Quiet, fast, and responsive, nice design with many features. You can put in macros with 5 custom macro slots, great for video recording because there's not loud mechanical clicking to be heard in the background. Tactile feeling is great. Cons: This particular one is not back lit. Other Thoughts: I owned a Black Widow that wasn't a stealth version for a few months and decided to go for the stealth version because I like to record my gameplay. 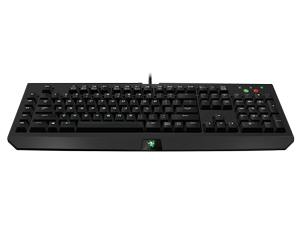 The clicking sound from the mechanical switches was something that I wasn't a huge fan of but I absolutely loved the keyboard. A friend of mine does like the switches so I made a deal with him for my keyboard and I bought this one instead. I love the functionality that the keyboard has. You can create custom macros and program them in. 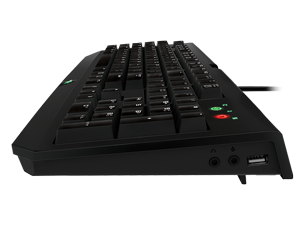 I also like the idea of having USB slot in the keyboard itself that I can plug my headset or microphone into. It frees up a USB slot for me. The only thing is that this keyboard isn't back lit but for me that isn't a big deal. 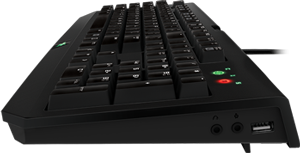 Pros: Very tactile feeling keyboard and very quiet compared to there old version of last year. I love there new orange keyswitches they have used. 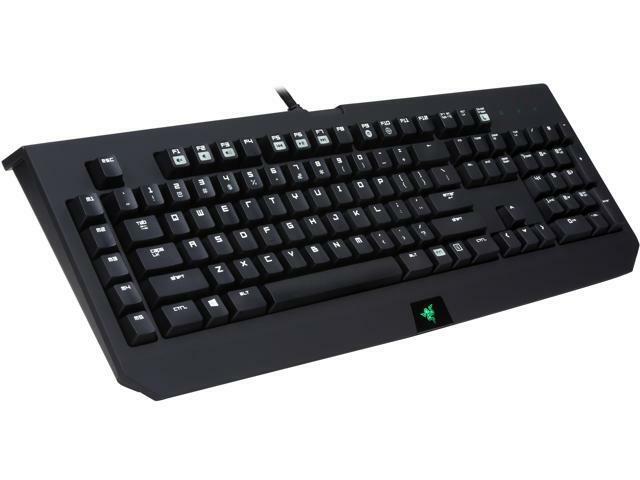 Pros: This is a great keyboard. 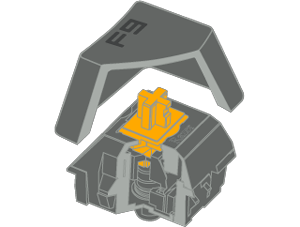 Razer's switches are better than any other. 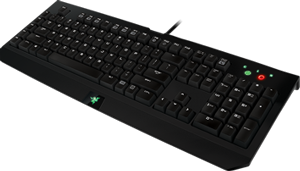 Razer Synapse is awesome when you need different key bindings for different games. 5 Macro keys. 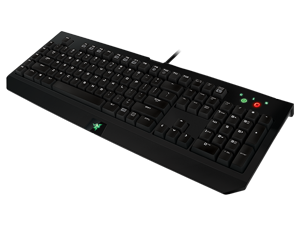 A function to turn off the windows key, alt f4, and alt tab while gaming. Has a usb 2.0 port ob the side of the keyboard. Has a headphone and microphone jack on the keyboard. Other Thoughts: This is an awesome keyboard in my opinion. I love it sooo much. I'm just upset that I bought the non backlit one by accident. But still, it's and awesome keyboard.